LIVE UPDATE: Apple’s Special October 16th Event Will Be Padded With Goodies! Update: I am intrigued about the “It’s Been Far Too Long” theme for today’s event. Can this pertain to a new and improved Apple TV product? Please excuse my hokey headline but I am competing against all the bigwig tech sites for page views here. 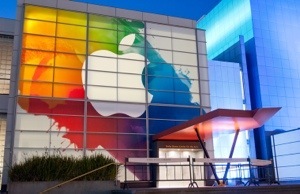 Nevertheless, suffice it so say, Wednesday’s October 16th Apple Event will be devoted to the unveiling of the new iPads. These iPads may be thinner and faster and will probably boast a camera upgrade, Apple Pay, Touch ID, new Colors, new Cases and more. Also, I expect that Apple will reference the Yosemite Update for Mac, with a probable release date in October. It would be great to see an update to the Apple TV Unit but right now i am holding my breath in hope that this Apple Event will stream seamlessly via the current Apple TV – unlike the brouhaha of their September event. What a train wreck. Seriously. I couldn’t provide live updates because of this glitch. At any rate, I don’t think there will be any major surprises because so many details have already been leaked. But, one never knows. So come back at 1:00 PM Eastern (10:00 AM Pacific) on Wednesday for the live GTG update. What are your predictions for tomorrow’s event? Overall, I am enjoying the iOS 8 update. It took a few days for everything to run smoothly but, overall, it is a vast improvement to iOS on many levels. 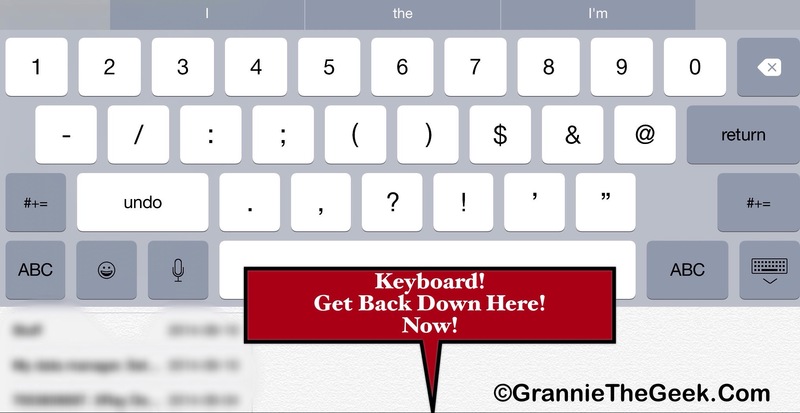 And, I learned that a quick restart/reboot usually takes care of many problems. A high degree of fanfare and hoopla has surrounded this particular Apple Event and justifiably so. A new line of iPads, a MacBook Pro refresh, a new line of really, really, really Smart Covers, an upgrade to the Apple TV unit and more have hit the the rumour mill over the past few weeks. And to add to the anticipation and excitement engulfing this event, Apple has announced that live streaming will be available via Apple TV and the Official Apple website. That’s pretty huge if you ask me! There was none of this when Apple launched the iPhone 5C and 5S in September. Could this be the start of something big – something revolutionary even? It could be! I will be adding updates right here in this blog topic, so refresh often and tune in for my impressions. It’s going to be an exciting day. 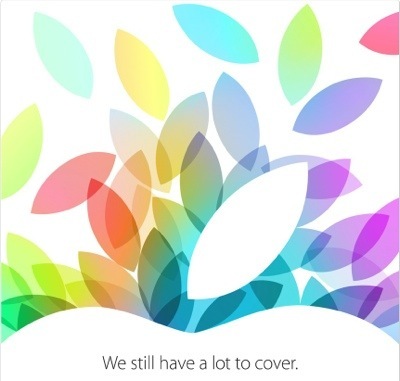 Apple Still Has “A Lot To Cover” At The Scheduled October 22nd Event. The invitations have gone out to the media! Let the countdown begin.